Diabolical Plots is a Sci-fi/Fantasy zine that covers virtually every media related to the genre from books to movies to video games. This site also features regular content related to the craft of writing. Take a look around! Podcastle is the weekly fantasy podcast published by Escape Artists, edited by Jen Albert and Khaalidah Muhammad-Ali. As well as weekly full-length feature episodes, they also publish occasional standalone flash stories as bonus episodes, as well as triple flash stories for the occasional feature episode collection. In February Podcastle once again participated in the Artemis Rising event across the Escape Artists podcasts, publishing fantasy stories written by women and nonbinary authors. Podcastle published 55 stories by my count in 2018. Every short story that is eligible for Hugo nominations this year which were first published by Podcastle are marked with an asterisk (*). Beneath Ceaseless Skies published has been publishing other-world fantasy since 2008, and has been edited by Scott H. Andrews since its launch. They publish about half of their stories in audio, so if you like what you read here there is more stories that weren’t even considered on the BCS website. This post covers two years of Beneath Ceaseless Skies–they didn’t publish quite enough stories in audio in 2017 for a full list. Over that two year period, BCS published 42 stories on their podcast. The stories that are eligible for this year’s science fiction awards (like the Hugo and Nebula) are marked with an asterisk if they are short stories(*) and a double-asterisk if they are novelettes (**). BCS publishes all original fiction, but only that was first published in the 2018 calendar year is eligible. It’s time for that January tradition, the Award Eligibility post for Diabolical Plots. The Magic Circle is a first person puzzle/action game released by Question in July 2015. Ishmael (Ish for short) Gilder is a celebrity in the gaming world, the designer of a wildly popular game twenty years ago, a text-based adventure. The fans have been pining for the first person fantasy sequel that Ish has been developing… for the last twenty years. Ish dithers over every little choice, never making firm decisions on anything, and so the game continues to linger in “development hell”. Not even so much as a color scheme, so the game in development is still in monochrome. You are the character in that game. But Ish is so indecisive, he won’t even allow the protagonist to have a weapon. So, you can’t possibly win an action fantasy game like that. Can you? The original Twin Peaks was a murder mystery created David Lynch and Mark Frost, which premiered in 1990, and ran for two seasons. The story began with the discovery of the corpse of the homecoming queen Laura Palmer (Sheryl Lee). 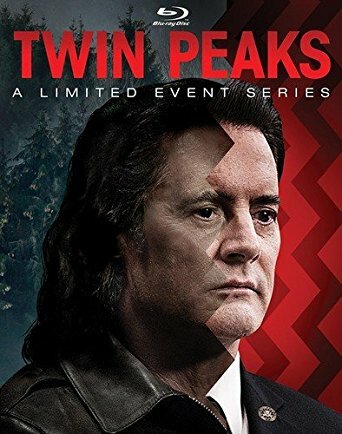 As the town grieves the loss of one of their own, FBI special agent Dale Cooper (Kyle McLachland) arrives to investigate the murder. Charmed by the small town atmosphere, Agent Cooper works with the sheriff Harry Truman (Michael Ontkean) to uncover clues to the mystery. What seems at first an ordinary murder (although unusual in this smaller town), uncovers more strange details and soon everything they think they know is called into question. Even though the main plot of the show was pretty dark, there were plenty of moments of levity, fun moments between characters, intentional awkward pauses. The show has a large ensemble cast who all play a major role at times, many more than would be worth bringing up in a review of this length. The show is well worth a watch, though you might want to keep in mind that it gets weirder as it goes on, to the point where some of the weirdness is just confusing rather than compelling, and if you are expecting the confusing parts to make sense later, they often don’t.